Hopefully all will find it fun and easy to use. We want our younger members to check in and contribute frequently to get, and give, information about their club and teams. Coaches and helpers are also urged to provide team reports, photos, articles, results and fixture schedules early and often. 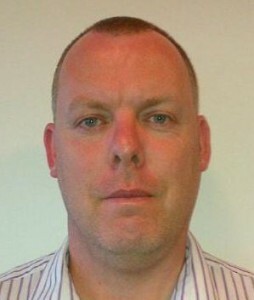 My name is Colin Gallagher; I am the newly appointed Child Welfare Officer for Skerries RFC. Skerries RFC are committed to ensuring that all our children are provided with the safest environment for them to participate and enjoy the sport of Rugby. Adhering to our governing bodies Child Welfare policy (see IRFU Child Welfare Policy Document). Providing parents and children with the opportunity to voice any concerns that they may have. Responding swiftly and appropriately to protect the welfare of children who participate in our sport. Reviewing the effectiveness of our club procedures and policies on an ongoing basis. Appointing a female assistant CWO in line with best practice for clubs with both male and female teams. With this in mind, I would like to welcome Sarah Nolan as assistant Child Welfare Officer for the club. My primary goal is the welfare of the children in our club. I will act independently of the club hierarchy. I will operate a strict code of confidentiality within the club, however if a concern about child protection comes to the light then I will act within the statutory reporting guidelines and IRFU policy. Ensure compliance with the IRFU child welfare policy declaration of Intent forms and Garda vetting. Promote awareness of necessary child welfare policies and procedures to the coaching teams. Review club policies and procedures against the IRFU child policy document and amend where necessary. Raise awareness of the anti-bullying policy within all teams. Should you have any questions or wish to discuss any matter, please don’t hesitate to contact us at the contact details provided below.